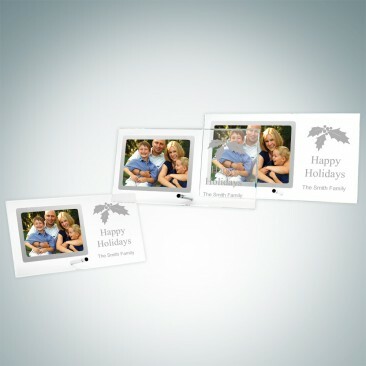 This Clear Glass Vertical Picture Frame with Stainless Silver Pole is a great way to display your favorite photo from a special family trip, reunion photos or a picture of yourself and your parents. It is an ideal gift for Christmas, Mother's & Father's Day, Anniversaries and Birthdays. Choose a free artwork from our many choices or upload your own logo/artwork file. 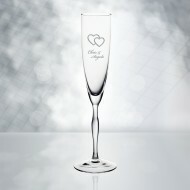 Engrave your parent's name, a heartfelt message or a special date to make your memory an everlasting one. Can also be used for numerous Corporate events such as company anniversaries, grand openings and employee gifts, just engrave the company logo! 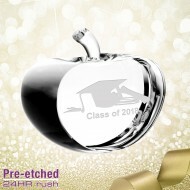 *Available in three sizes; 3/16" thick Clear Glass; Hand Screw Silver Pole for assembly.